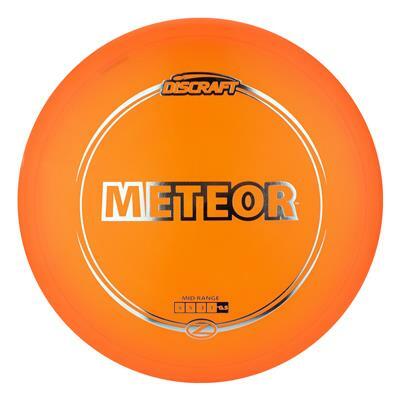 The Meteor is a great disc for those long, controlled, gliding drives. I personally love the fact that I can put it on a slight anhyzer and watch is slowly turnover and glide all the way to the basket. A great disc for beginners as well as the seasoned player who wants to throw those strategic shots that avoid obstacles on the course. Sorry to see that this disc is losing popularity. As a poor forehand driver, This is one of my go to backhand flip up to flat with a late turn. Very controllable and has sneaky distance! My old fav. was FLX plastic. This takes some break in to get perfect for me.